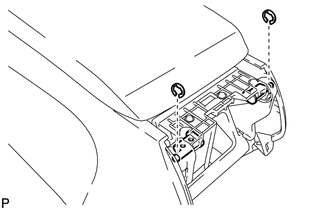 (a) Temporarily install the rear console armrest assembly. 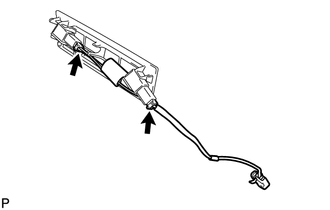 (b) Push in the box door hinge shafts by hand as far as possible. 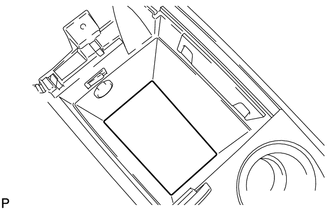 The illustration is for the LH side. 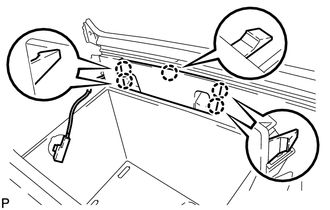 (c) Using pliers, push in the box door hinge shafts completely. Tape the plier tips before use. 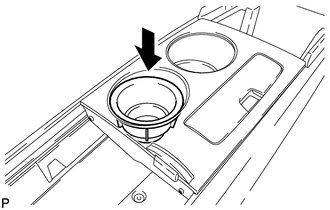 (d) Install the rear console armrest assembly with the 2 E-rings. 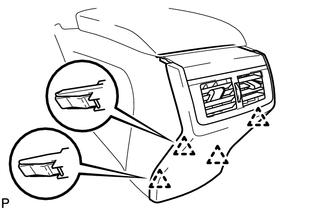 (a) Engage the 4 clips to install the rear console end panel sub-assembly. 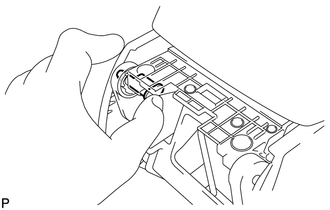 (a) Connect the connectors to install the console box wire. 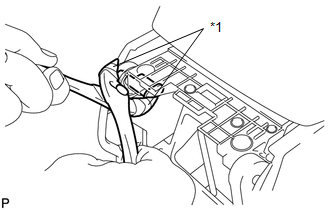 (a) Engage the 5 claws to install the console mounting retainer assembly. (a) Install the No. 2 console box duct with the 2 screws. 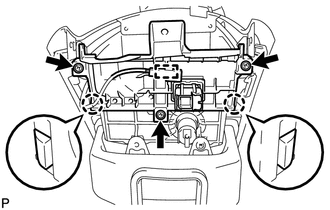 (a) Aligning the inside groove of the front console box assembly with the rear console upper panel hinge, slide the rear console upper panel sub-assembly and install it. (a) Engage the 2 claws. 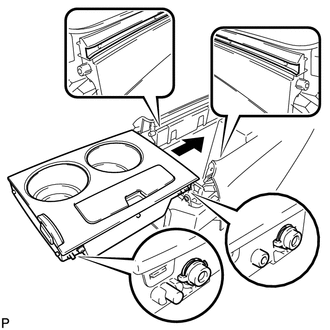 (b) Install the front console box cover with the 3 screws. 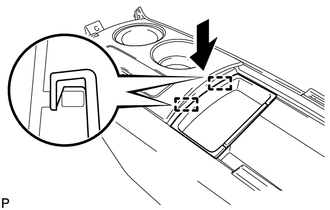 (a) Engage the 2 guides to install the console box pocket. 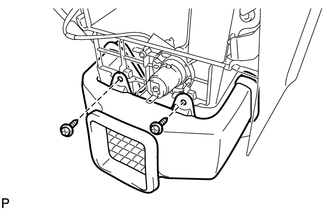 (a) Install the instrument panel cup holder damper. (a) Install the No. 1 console box carpet.